Expedia.com is one of the world’s largest full service travel sites, helping millions of travelers per month easily plan and book travel. 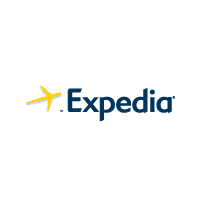 Expedia.com, aims to provide the latest technology and the widest selection of top vacation destinations, cheap tickets, hotel deals, car rentals, destination weddings, cruise deals and in-destination activities, attractions, services and travel apps. With the Expedia Best Price Guarantee, Expedia.com customers can get the best rates available online for all types of travel. Expedia’s recently refreshed, free-to-join Expedia+ Rewards program allows members to reach status faster by earning points when booking flights, hotels, activities and now cruises.